I wish to fight for Tibetan freedom, but I am a Dorje Shugden follower. If in exile I don’t have freedom to practice Shugden and segregated, if we get a free Tibet, will you do the same to me in Tibet? Will Tibet be segregated like we are in exile India now? All Shugden people are banned from mainstream Tibetan life. I am a 2nd generation Tibetan living in Delhi and our community is heavily segregated because of this. If Shugden people are segregated and banned in Tibet like in India, what type of democracy is that? Dalai Lama said I have the freedom to practice Shugden, but I cannot join his secular talks, then that is not freedom but conditional leadership. Almost like blackmail to quit Shugden. I don’t wish to join in his religious talks but secular events which I am not allowed to as a Tibetan and he is our leader politically. 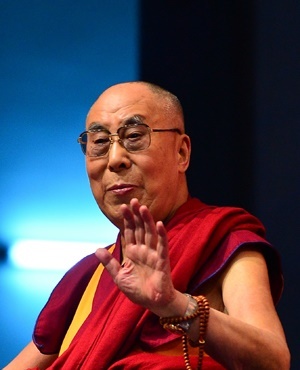 A section of Tibetans cannot join Dalai Lama’s secular talks due to discrimination against their religion. That is wrong. Leaders have to be fair and not look at my religion. If like that now with segregation based on religion, how to fight for the freedom of a segregated Tibet? Comment made by Ngawang on the article titled "Forget my religion, why can’t I support Tibetan Freedom?" Re: Forget my religion, why can’t I support Tibetan Freedom? Tibetan leadership does so much to divide their own people even BEFORE they have their country back in India and Nepal. Once they get their country back, if they do, they will segregate more people based on religion and other social constructs. Tibetans in Tibet are overall very backwards and very primitive in thinking. They are always very violent when dealing with each other. They will definite segregate each other and there will be many civil wars. To be honest, the Tibetans should not allow CTA to continue to be their leader. What can they give to the Tibetans? For the past 60 years, CTA constantly creates problems and conflicts in the Tibetan community, they don't take care of the welfare of the Tibetans, they misuse the donations give to the Tibetans, all they do is splitting the Tibetan community into different fractions. They make use of the Tibet issue to make money for themselves. If they cannot even improve the lives of 80,000 Tibetans in India, how is that possible they are able to give a better future to millions of Tibetans in Tibet? The Chinese government has successfully reduced the poverty rate in Tibet from 37% to 7.9% in 2018, can CTA do that? Tibetans in Tibet now make more money than those in India, they have a very comfortable life. Who wants to change that? This is a reality check, how many Tibetans in Tibet and outside of Tibet really want Tibet to be an independent state? There are not many supporters, why does CTA still want to waste time and money to pursue the Tibet cause? Go for the Middle Way approach which will be a win-win situation to both the Chinese government and the Tibetans. Central Tibetan Administration claims that they are democratic, why do they discriminate people based on religion? Worse still, Dorje Shugden practitioners are recognised by the resolution of the Tibetan Parliament in Exile as criminals in history. Can you believe that? I've also put it here below as an attachment. This is what Dorje Shugden followers have to go through. The ban is imposed unlawfully without any ground, this is already bad. The Tibetan leadership makes it even worse by criminalising Dorje Shugden followers. Seriously, what did Dorje Shugden followers do that they deserve this? CTA is the lousiest government in the world. They are very capable of creating problems but they are not capable of taking care of their own people. 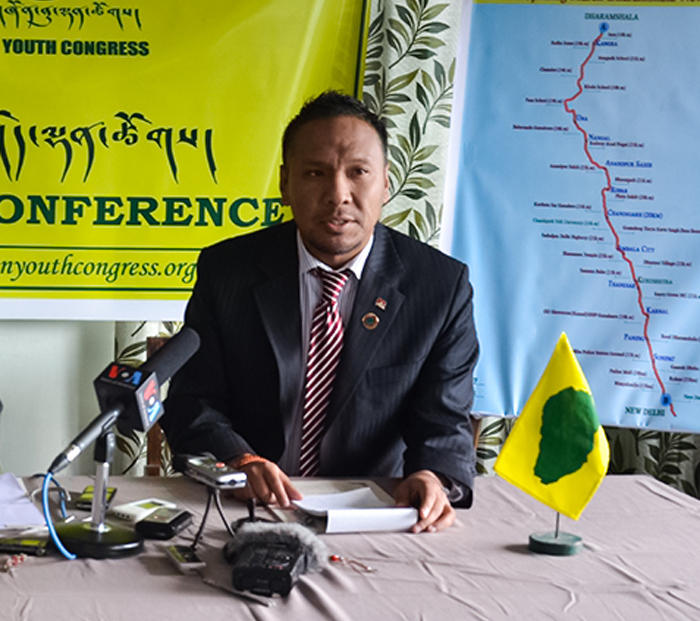 Instead of protecting Tibetans and maintaining harmony in the community, CTA wants the Tibetan community to split into different groups that are hostile to one and other so that the people's power is weakened. When the people's power is weak, CTA can continue to do what they want and no one will go against them. CTA is full of lies and deceptions. All they care is the benefits they are going to get. This is why the lives of the Tibetans living in the exile community did not improve at all and the Tibet cause has no progress. CTA has no intention to improve Tibetans' lives because they need poor Tibetans to help them get money from the sponsors. In order to cover up their evil plan and their failure as the government, they conveniently put the blame on Dorje Shugden. This is just ridiculous. Why would anyone be condemned and labeled as criminals just because they choose to practice a certain religion? This is ridiculous especially when the Tibetan government proudly claimed themselves as democratic government. There is nothing democratic in persecuting someone based on their religion choice. The Tibetan government lied to the whole world saying that they are a democratic body. They are able to get millions of donations when they cry about how China had been suppressing human rights in Tibet and they need help from other countries. However, if one looks closely on how the Tibetan government operates, you will find that they are nowhere near a democratic body. They did the exact same thing that they accuse China of doing which is suppression of human rights. They disregarded religious freedom by banning Dorje Shugden practice despite no valid reason of why the practice is being banned. However, little did they know is that the people that will suffer most will be their own Tibetans in exile. 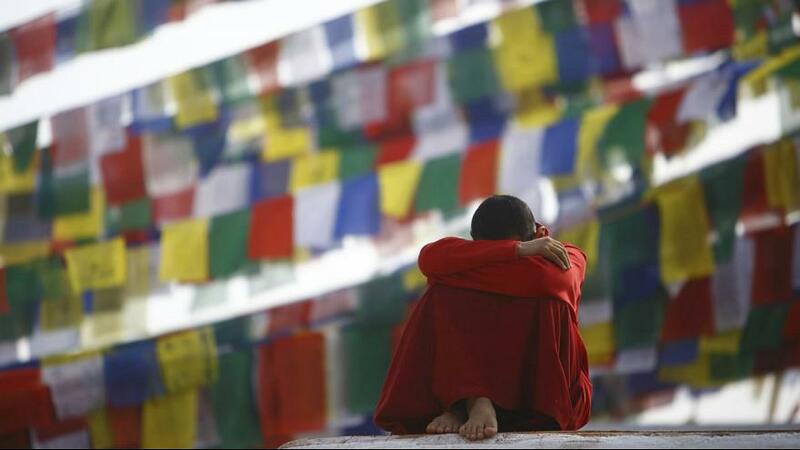 There are already so few Tibetans in exile, and their population continues to dwindle. Even that they cannot get their act together. Among the Tibetans in exile, they discriminate against Shugden practitioners and denied them of health care, education, employment, etc. Just another reason for us not to support the Tibetan government in exile. That's the Tibetan leadership for you. That's why from the "Tibetan Government in Exile", they are now "Central Tibetan Administration". Soon, it will become "Tibetan People Association" because they are reduced to nothing after eligible Tibetans migrate to other countries, including going back to Tibet, and those in India become Indian citizens. This is sad, isn't it? The Dorje Shugden followers are discriminated against by their own government. They did not kill or rob a bank, but yet they are criminalised. This is all due to Lobsang Sangay. I wonder what has he studied at Harvard that he can make such an unlawfully decision. Dorje Shugden followers are also Tibetans, they also love their country, why can't they express their love for their country? Their basic human rights as Tibetans are not granted to them by their government. The human rights activists should look into this issue and condemn the action of the CTA. This is sad, isn't it? The Dorje Shugden followers are discriminated against by their own government. They did not kill or rob a bank, but yet they are criminalised. This is all due to Lobsang Sangay. I wonder what he studied at Harvard that he can make such an unlawful decision. Dorje Shugden followers are also Tibetans, they also love their country, why can't they express their love for their country? Their basic human rights as Tibetans are not granted to them by their government. Human rights activists should look into this issue and condemn the action of the CTA. Dorje Shugden practitioners are just scapegoats for the failure of the Tibetan government. They are just being used as a shield and also a distraction for the whole world to forget about what the Tibetan government is supposed to do which is to fight for Tibet's freedom. Until now they have not been able to deliver their promise and they are keeping quiet about it. They blew up the Dorje Shugden issue and hope that the world and Tibetans will focus on the Dorje Shugden ban instead of the question of Why the Tibetans are still in India after 60 years. Actually, the Dorje Shugden issue is a very small religious issue and there is no need for them to blow it up this big. That is why we can see their true intention behind the ban and most importantly, Dorje Shugden people are innocent. With more Tibetans in India opt for the Indian passports, it is clear to us that the Tibetans no longer believe that they can travel to Tibet, let alone to go back to their country. The Tibetans are practical in this sense. Better to be seen as a 'traitor' that stateless. Tibetan leadership does so much to divide their own people even BEFORE they have their country back in India and Nepal. Once they get their country back, if they do, they will segregate more people based on religion and other social constructs. Tibetans in Tibet are overall very backwards and very primitive in thinking. They are always very violent when dealing with each other. They will definitely segregate each other and there will be many civil wars. Well, at least the Tibetans are smarter now. They learn their lesson not to trust CTA anymore on their fight for Tibetan cause. This recent case of Dorje Shugden practitioner being rejected is another proof of the insincerity of the CTA in fighting for Tibetan cause. There's nothing much to say. No Tibetans should be shunned upon by their own leaders. If they are experiencing so, it goes to show that their leaders are FAKE and care nothing about the people but only to serve and benefit themselves. No good leader would suppress their own people. Dorje Shugden people are still humans and they have their rights too. When you as a leader shun your own people, then without the people, you are nothing because you will have no one to lead except a bunch of yaks. But I guess what do we expect from a bunch of bigger yaks. Sorry to say but CTA leaders are not the brightest. More and more Tibetans are moving forward and becoming citizens of other countries and nations... so soon CTA will only have themselves to command and manage which they probably even can't because from within they are also fighting which other and can't even get their facts right > Who is lying, Samdhong or Sangay? Tibetans should separate the issue of Religious freedom with the fighting of Tibet's independent. They are not the same because one is a religious issue and the other is a political issue. They should not be mixed together because it will create a very messy situation as the nature of both the issue is different.